Rufus ist frustriert. Schon eine ganze Weile forscht er in der Akademie des leibhaftigen Studiums vergangener Zeiten vergeblich an seinem neuen Fragment, ohne auch nur einen Schritt weiterzukommen. Ob dieser seltsame Traum etwas damit zu tun hat? Zwei Mädchen in historischen Gewändern mit blau bemalten Gesichtern begegnen ihm neuerdings im Schlaf und auch No macht plötzlich eine Entdeckung! 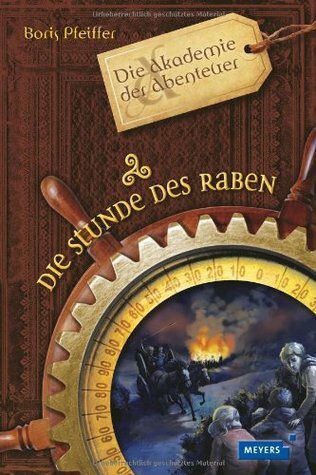 Ein weiteres spannendes Abenteuer beginnt und führt Rufus, Filine und No in die Welt der Kelten. I liked this book as the first book. It is a kind of original idea, and the book was written really well. I really like Fili and No because they kept on bickering and disagreeing but they were still very good friends. I like history and because I know a bit about Boudicca, I found this book intriguing, because it is about Celts. It is a good sequel to the first book. What I didn't really like, wasn't really the book. It was more some of the antagonists. Overall I love this book and would recommend it to anyone who likes magic, history and adventure. I give this book 5 out of 5 stars!